The Complete Guide To Keeping Your Cruiser Clean. Keeping a vehicle clean is not as hard as some people might think. 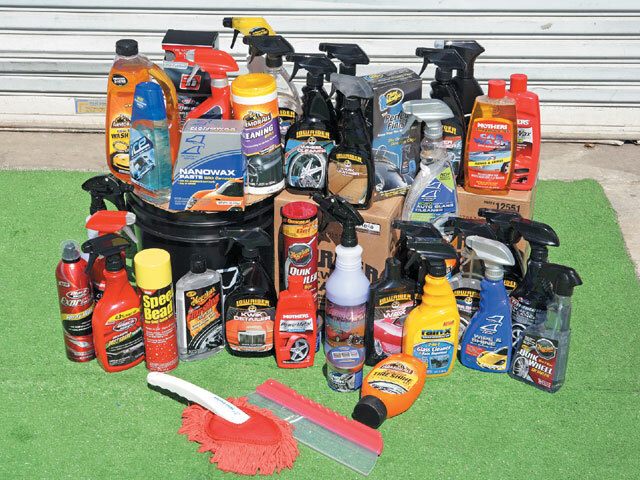 The basics of cleaning are getting easier and easier, as today’s car care companies have spent millions in R&D (“research and development”) to bring you the best products for your needs. These companies know that different people have different needs; some people want to get down and dirty while others want to get the same results with minimal effort. That’s why some manufacturers have developed new technologies like “wax as you dry,” which leaves a smooth, deep finish on your car without turning it into an all-day project. Today’s technology has come a long way from years ago. For one thing, the involvement of environmental groups has forced the industry to “clean up its act” and step up its game. Car care companies have had to create products that can clean while using less water, as the run-off can contaminate the oceans. They have developed car washes that recycle water, and most car washes in the nation are being converted to this new technology. The paint finish industry has really evolved as well, producing urethane paints that can be color-sanded and buffed just a few hours after they’ve been sprayed (if shot properly). 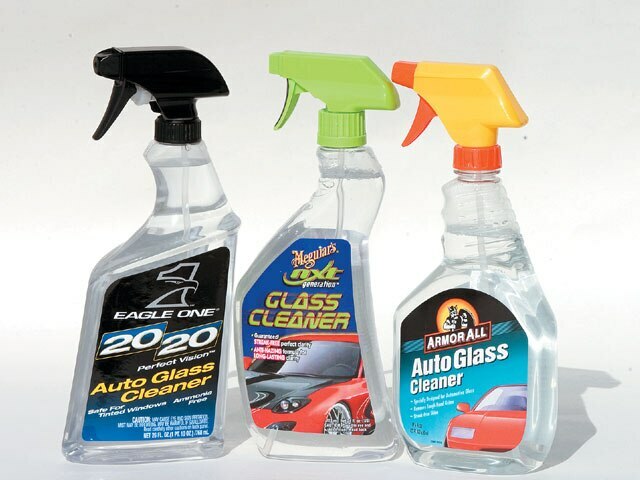 This means that the process and products for buffing a car’s finish have also evolved. The chemicals and solutions involved to give you a deep color are better than ever. Automotive paints-whether a single-stage lacquer or three-stage urethane-are not the same as in the past. To this day, paint manufacturers spend thousands of hours making sure that their finishes look as rich as the old-style paint jobs. By 2009, custom painting is going to be done with water-base format paint. The paint companies will most likely have to reinvent themselves, in turn bringing new care products to accommodate the new paint finishes. New waxes are not like the old waxes that you had to strip off after several coats and start over due to too much build-up. Believe it or not, there are now a few waxes on the market that are designed to work with having more wax put on top of it, getting rid of all the unwanted swirl marks and light scratches caused by improper care or even normal wear and tear. Some manufacturers, like Turtle Wax, have developed wax that dries clear. These waxes also don’t stain plastic trim like other waxes did in the past. How to keep it clean is sometimes easier than you think. A little elbow grease and you’re on your way. The first step in cleaning the interior of your car is to vacuum it thoroughly. Use a vacuum with a flexible extension and a crevice tool. This will help to reach difficult areas like around the dash and console. The first step in washing your vehicle’s exterior will normally be to clean the tires and wheels, which prevents splashing your car’s freshly cleaned and waxed paint. This is an extremely important step, since brake dust, if allowed to remain, can permanently bond with and etch some wheel surfaces. When you’re ready to wash and wax your vehicle’s exterior, make sure that the paint surface is cool to the touch. It’s also a good idea to start washing your car from the top and work your way down. Here are nine simple steps for maintaining a clean, beautiful car. How many of these steps do you perform when cleaning your ride? Following this order should help keep your car looking like a champ. Our 2007 Car Care Guide will take you back to basics, as we’re going to show you how to clean and wax your ride the lowrider way. 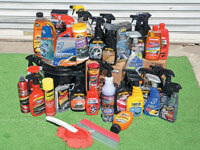 Now check out some of the latest car care items that you should not be without. These cleaning products will get you on the right track. 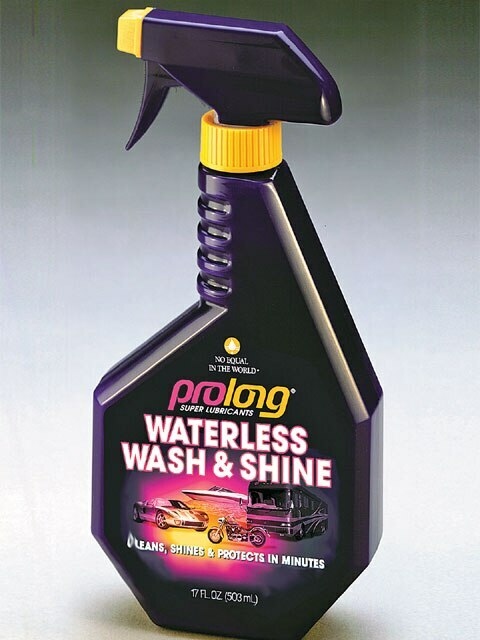 Prolong Waterless Wash & Shine is a revolutionary new way to wash your car in 15 minutes or less, anywhere and anytime. Simply spray on and wipe-no need for buckets, hoses, sponge or chamois, and no mess to clean up. It’s specially formulated to clean safely without scratching, leaving a beautiful just-waxed, professional finish. 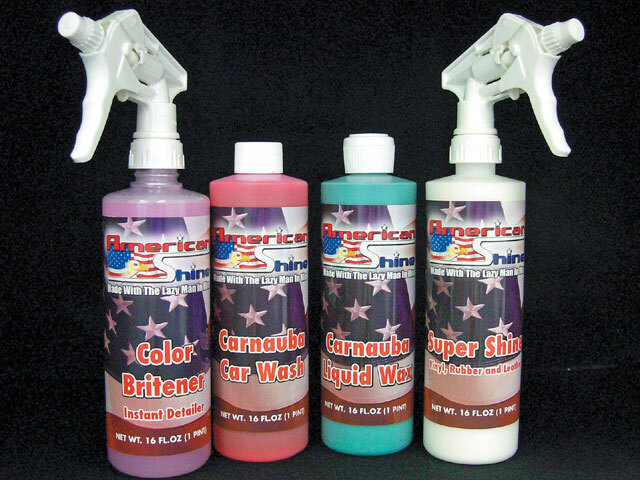 American Shine is an innovative supplier of high-quality car and marine cleaners, waxes and finishers. You could learn more about this and other American Shine products at their website. These tire gels will shine up your tires. Automotive window cleaners will help keep streaks off of your windows. 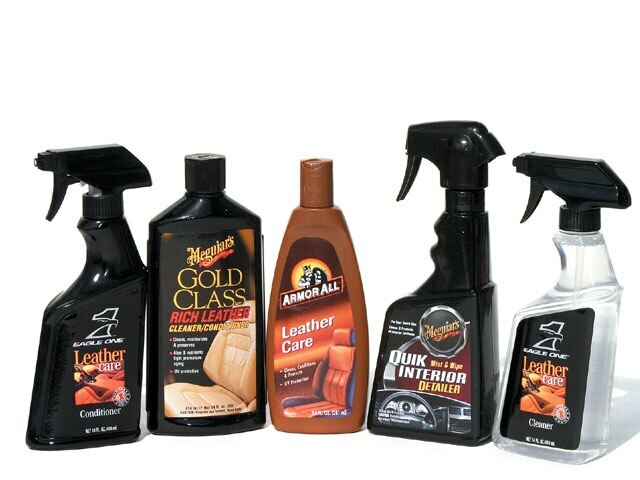 The interior is often a neglected area of a car and can be moisturized with any of these cleaners and conditioners. Whether you ride on original factory, sparkling chrome or giant 24-inch wheels, a clean wheel is the final touch on any automotive detail and crucial to the overall look of your car. Fortunately, Mothers Polishes-Waxes-Cleaners has engineered the new FX Wheel Cleaner. This advanced wheel cleaning formula allows even the most discerning automotive enthusiast to clean their car’s wheels with minimum effort. Simply spray on and hose off. 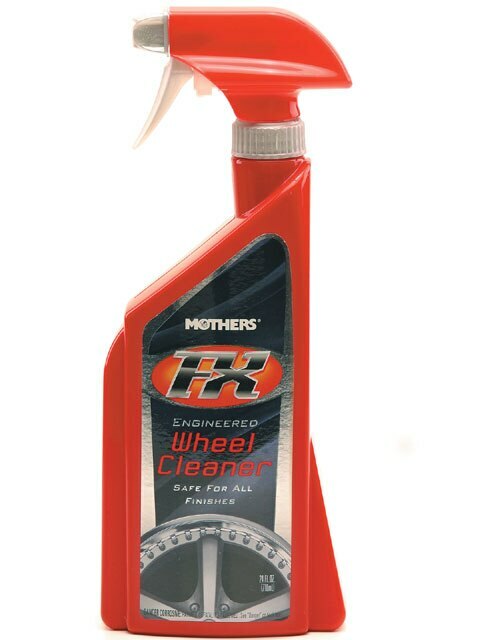 Mothers FX Wheel Cleaner uses the latest in cutting-edge technology to keep your wheels free from brake dust, tar and road debris. Everyone wants a vehicle with a mirror-like shine. For that reason, Mothers has developed FX Spray Wax. Engineered with synthetic polymers to give your car a remarkable, head-turning shine, FX Spray Wax has all of the essentials to prove that you don’t need a lot of time to give your vehicle a show-quality shine. Specially formulated for ease-of-use, just spray on, then buff to a shine, and your paint is protected and gleaming. FX Spray Wax works on wet or dry surfaces to help protect your car’s paint and keeps it sparkling with a high-gloss shine. 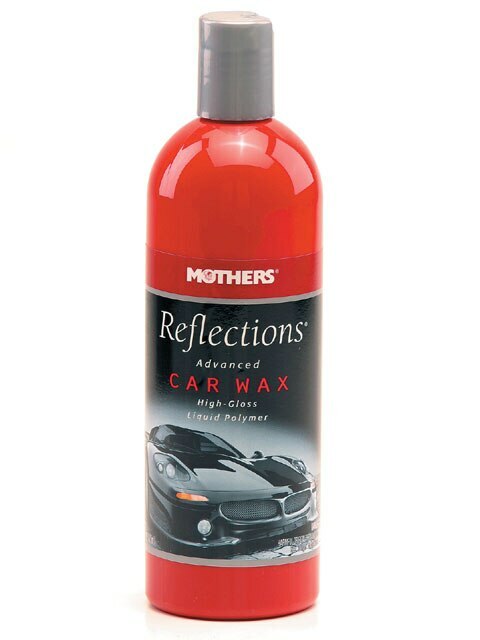 Mothers is raising the bar once again with Reflections Advanced Car Wax and Reflections Top Coat. The Reflections process starts with a new, all-in-one polish and wax. Combining a unique blend of high-tech polish and synthetic polymer wax, Reflections Car Wax goes on smooth and comes off easy to deliver that extra shine that you expect on your cherished ride. Using Top Coat after a treatment of Reflections Car Wax adds depth, protection and shine. Clay Magic now offers the big 200-gram professional size bar. It removes surface contaminants on up to 20 cars! Also included is a free 12-ounce bottle of Clay Lube. 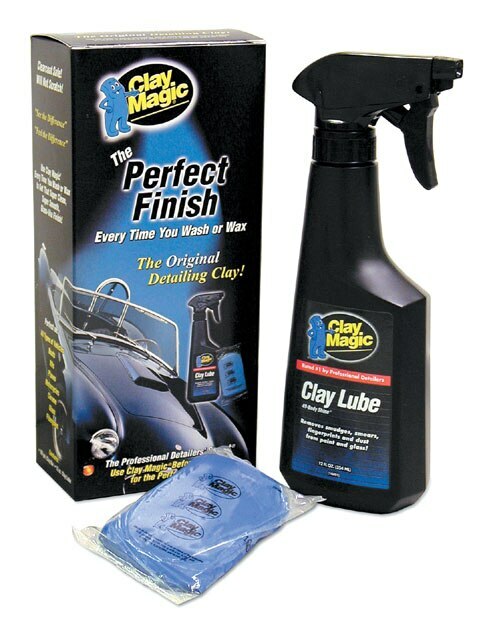 Safe for all types of vehicles and all types of surfaces, you can use Clay Magic on your paint, chrome, glass or fiberglass. Give your car the ultimate concours shine in minutes with P21S! A rich blend of pure Brazilian #1 yellow carnauba and beeswax delivers a dynamite shine that lasts and lasts. 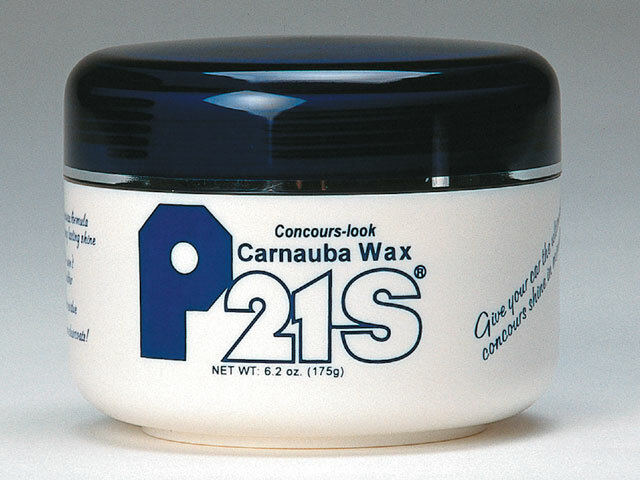 P21S paste wax is virtually as easy to use as a liquid, it goes on and comes off with incredible ease and no powder residue. Unlike traditional protectants that fade quickly, Eagle One’s Wet Tire Shine is formulated to provide a long-lasting, weather-resistant, ultra-black glossy shine that will complement great-looking wheels. 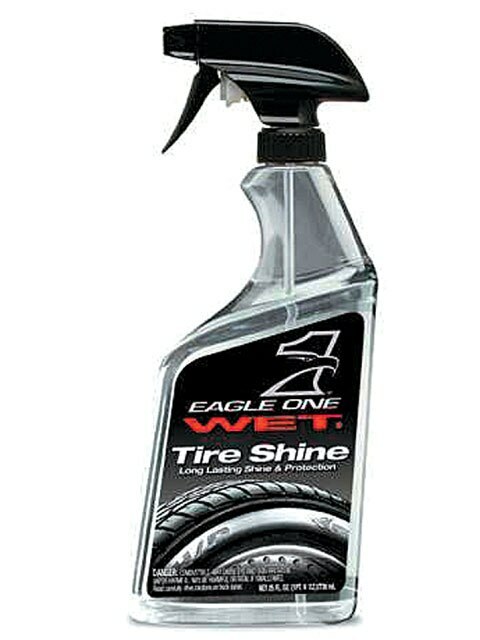 For a smooth and even gloss, simply spray it on or apply it with patented Eagle One Tire Swipes. An aerosol formula is also available for even easier application. Wish that you could wash your car without lugging around a heavy bucket of suds? Eagle One has the answer. Their R&D team has taken car washing to a new level with the introduction of Bucket-Free Car Wash, a spray-on car soap that eliminates the need for a bucket while providing a faster, easier and better wash. A bottle of Bucket-Free will provide 60 washes. 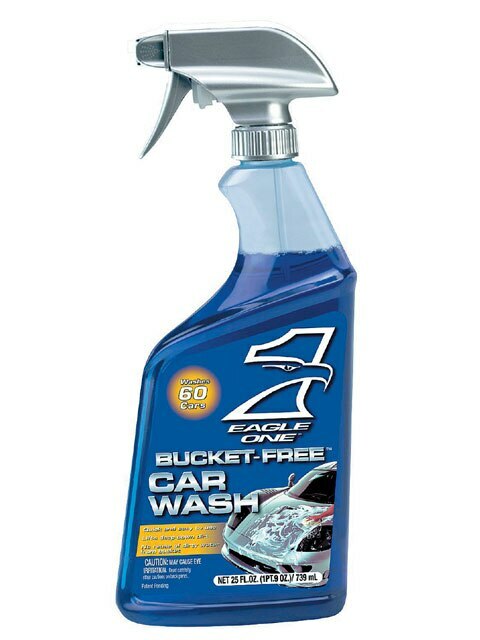 Eagle One has made its popular one-step All-Wheel & Tire Cleaner even more powerful with a new clinging suds formula that visibly removes sticky brake dust and road grime from wheels and tires. 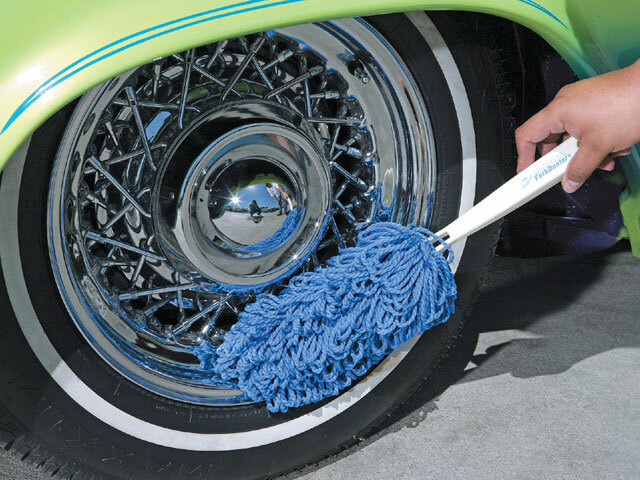 The new formula makes the job of cleaning wheels and tires much quicker and easier. When sprayed on cool wheels, it creates a swell of clinging suds that quickly penetrate and loosen brake dust and road grime. 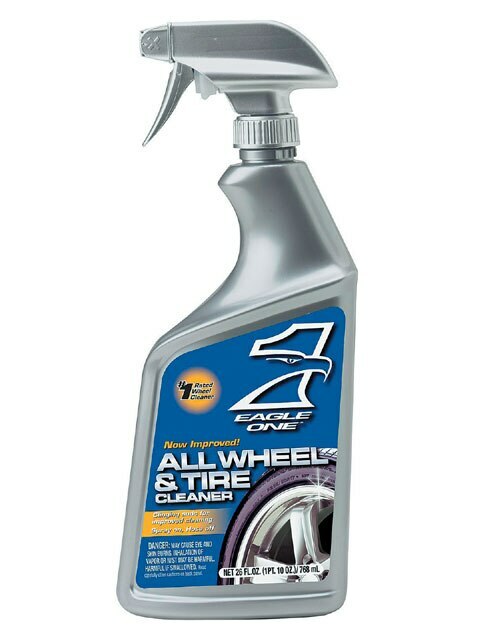 All-Wheel & Tire Cleaner is safe and effective for most factory and aftermarket wheel finishes, including clearcoats. The Original California Car Duster literally works like magic. It utilizes the proven technology of baking a special paraffin wax into 100-percent cotton strands to ensure that dust is lifted and removed, not just pushed around. 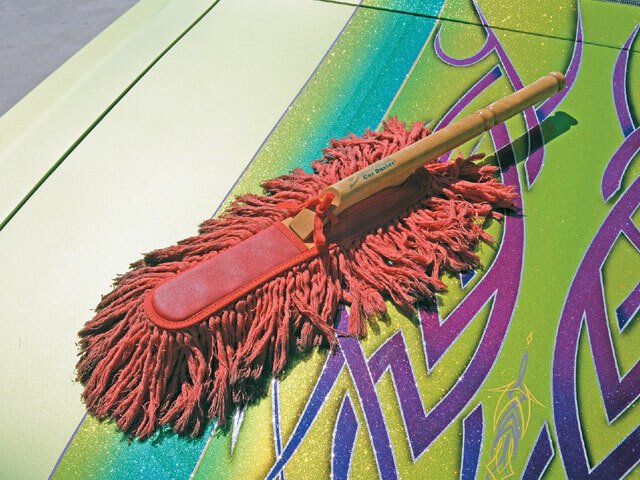 The Original California Car Duster gives cars the appearance of looking just washed. California Car Duster introduced their new wheel duster, which is specifically designed to dust off your wheels and should be used as a dedicated wheel duster to prevent scratches on the paint surfaces. 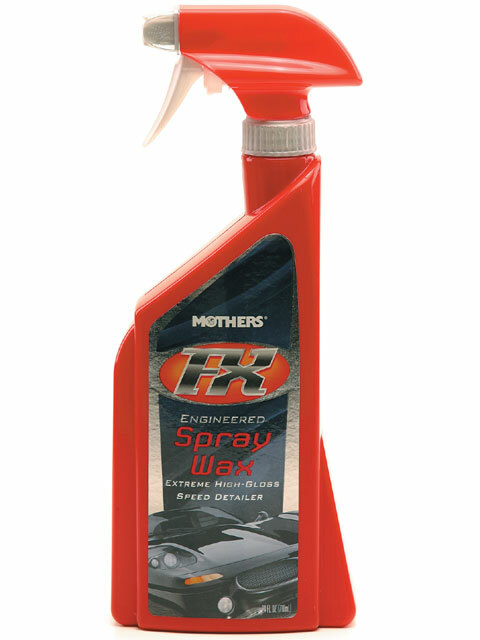 The new product line, called Mothers High Performance Car Care Accessories, was created to give enthusiasts a more efficient way to get professional results. These lightweight and reasonably priced tools will let you clean your ride with ease. 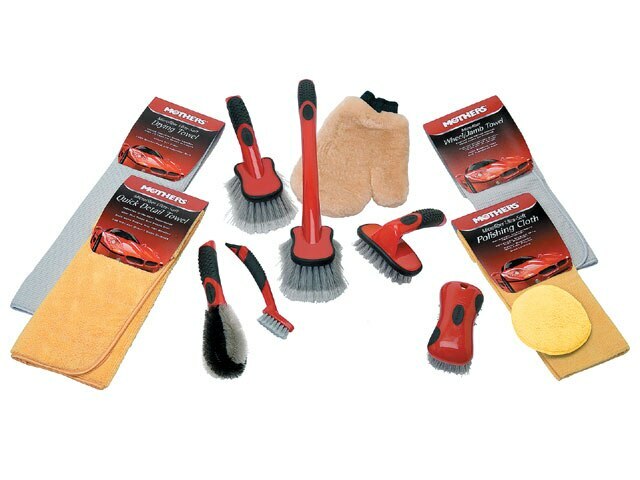 The comprehensive line of Mothers High Performance Car Care Accessories includes unique microfiber products, lightweight ergonomic brushes and finishing products. 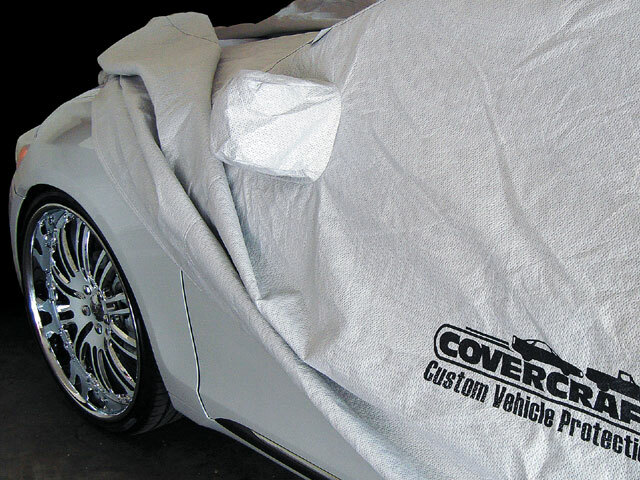 Wolf Car Covers are a great way to keep your car clean. 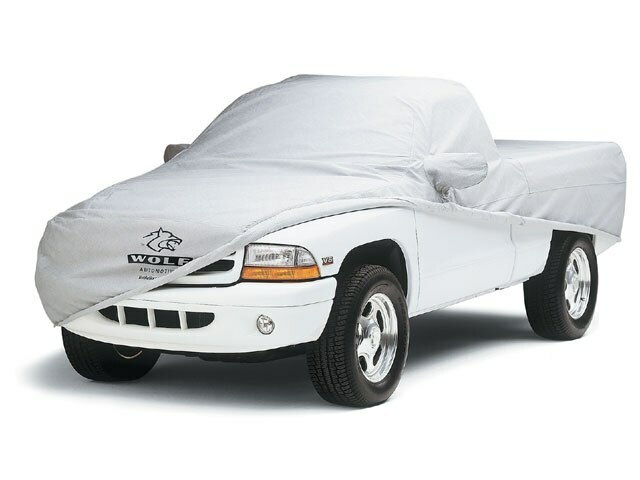 Whatever the weather, Wolf Car Covers will protect your pride and joy from the elements. Covercraft’s Noah barrier fabric actually stops water, yet it “breathes” to allow any trapped moisture, seam seepage or condensation to easily evaporate. The unique construction process results in a cover with maximum all-weather protection; highly water resistant, dust resistant, UV resistant and breathable to make sure that moisture and/or heat don’t stay under the cover. Made in the U.S. by Kimberly-Clark, the fabric weighs only 4.45 oz./sq. yd., so it’s easy to handle and fold.